There are many casualties in war, with a loss of human life on the battlefield usually receiving the most attention. Those left behind either in a besieged country or one far from the war effort often find their own resources depleted, with products and services not deemed vital withheld to fund the troops, leading to the loss of jobs while other temporary roles are created to fill more immediate needs. While entertainment remains important to keep morale up, those places that offer a more sophisticated escape suffer, especially if their inhabitants are deemed dangerous or doomed as a result of neglect. In 1941, Belfast is a vulnerable target for the Nazis, who conduct a series of air raids on the city. Tom (Art Parkinson) is mesmerized by the zoo, where his father works, and visits regularly. As the war rages and his father is called into action, Tom learns that the zoo will be shut down and many of its most precious residents put down to prevent catastrophe. Unwilling to accept that solution, Tom enlists a few loyal allies to help save Buster the baby elephant and make sure that the legacy of the zoo is not destroyed. The zoo has been featured prominently and film and television recently. A series based on a James Patterson novel aired during the past three summers on CBS. Matt Damon famously bought a zoo in the unmemorable 2011 film, and Kevin James played a zookeeper in another 2011 film. 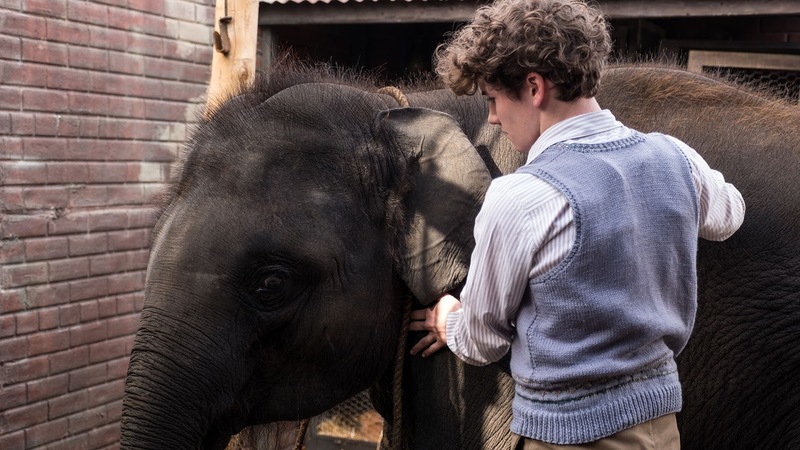 The one that comes closest to this film is “The Zookeeper’s Wife,” which saw the couple that owned a Warsaw zoo turn it into a hiding place for many Jews during World War II. This child-friendly adventure sets itself far away from invading Nazi forces, with the survival of the elephant as the most serious of stakes motivating the young protagonist. This film is based on a true story, and its jolly poster depicts a light-hearted film filled with wonder. While the fascination with the animals, particularly Buster, is depicted centrally, this is ultimately a film about courage and collaboration, with Tom compelled to act when he sees that no one else will consider the livelihood of the animals and the valuing of keeping them around. Parkinson is appropriately energetic, and Toby Jones and Penelope Wilton contribute positively as the resident adults, portraying an unfriendly security guard and hermit-like animal devotee, respectively. 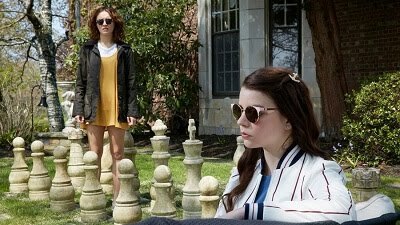 This film, which is rated PG, succeeds at being what it wants to be, a story of inspiration and joy set against a far more serious backdrop with themes that are wisely not touched here.